When taking part in a poker game, it is very important that you have a positive mindset that you will win. This will make you enjoy the game and in the same time boosting your confidence. A poker game should be used as a way of relaxing. Chat with the other players, crack jokes and lighten up your mood to reduce tension and make the game more enjoyable. Do not bring stress to any game. Never go to a poker table if you are not sure of the gaming rules. You will slow down the game and make it boring. There’s a simple way to learn now Omaha High Rules as well as other types of poker – visit the site where all the rules and tutorials are explained fully and thoroughly. You should always be professional in a poker game when you lose. Don’t point fingers or get angry at other players. It’s unprofessional. Playing poker while drunk decreases your chance of making the correct decisions thus reducing your chances of winning a game. When playing poker, bet valid amounts as if you lose you will still be comfortable rather than regret about it for the rest of your life. Even if you have a winning streak, bet wisely. On winning a poker game, you don’t need to celebrate extensively. That is unprofessional but you could always buy other gamblers a round. Bluffing is part of a poker game but you should know where and when to bluff. Bluffing can lead to serious consequences especially if you are playing against skilled opponents. Avoid being distracted from the game. This will slow down the game making it less enjoyable and increase your loosing chances. When it is your turn to make a move, take your time to make the right decisions. Don’t dress up conspicuously when going for a poker game. Poker players can take advantage of this to mock you and mess with your emotions thus distracting you. This requires practice and makes one to look more skilled and it also makes the game enjoyable. Tricks like shuffling, flipping, and twirling chips can be learnt via YouTube or from a skilled person. 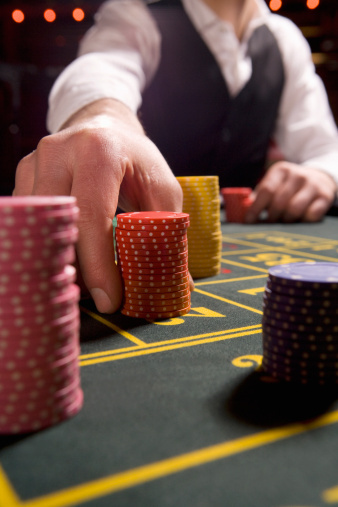 Dealers know a lot of things when it comes to poker. Involve them in a conversation and give them tips. This will always work to your advantage and you may be lucky to learn one or two tricks. Poker is just like any other gamble game where you can always win or lose. Always keep this in mind. Practice makes perfect. You could sharpen your poker skills by playing with friends or family members or for a better experience, you can use the internet.